Being a Solo Indian Traveller, I need a lot of travel gear to get the maximum benefits out of my journey. Travelling is hard work and I put all my heart in it. I receive a lot of support from people who appreciate my journey and help me by providing necessary equipment for my travel. One such team that has always been on the lookout for me is Wildcraft. Its backpacks and rucksacks both have contributed to making my travels a lot easier than before. 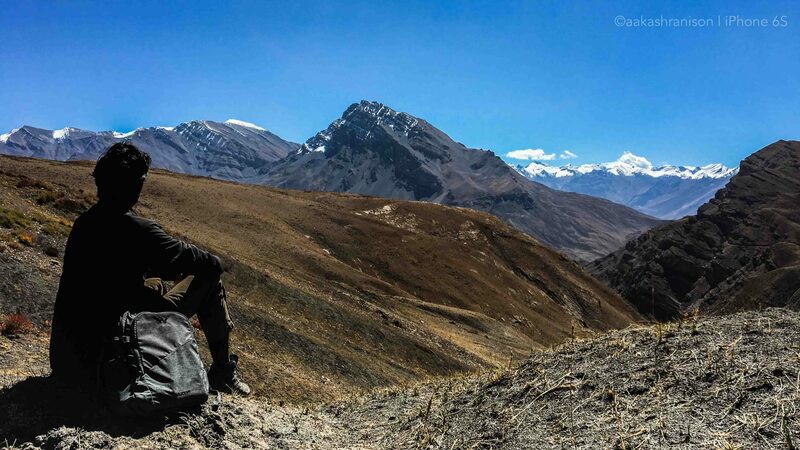 My first experience with Wildcraft was during my cycling trip to Bhutan in 2015. The good folks at Wildcraft provided me the Hypadura Kramat 25 Laptop Backpack which was nothing less than a stress reliever for me. 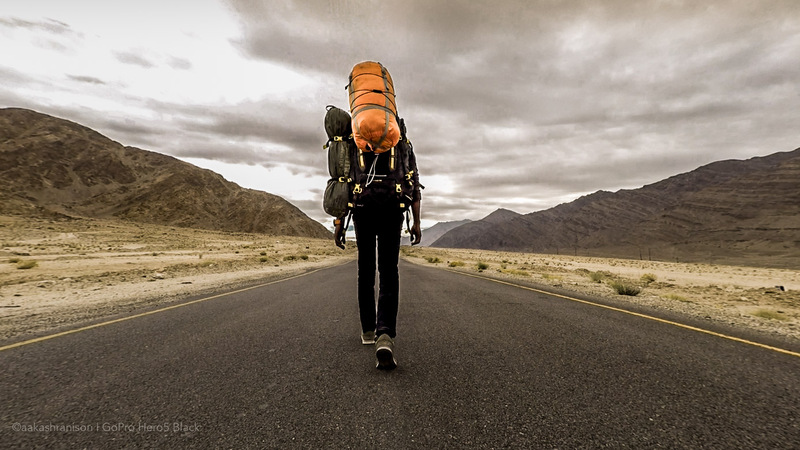 I have cycled, hitchhiked and walked for more than 10,000 kms carrying this backpack on my shoulders. Travelling light is the aim of every traveller and this backpack helped me in sharing my burden. This 25 L backpack was a perfect fit for carrying my laptop, photography equipment and clothes while travelling as a solo backpacker. Comfort is the forte of this backpack and while travelling from India to Bhutan as a cross-country traveller, this backpack accompanied me and mitigated major travelling difficulties during my trip. The backpack has been a good friend in other trips and for regular use as well. Spiti Valley Project was a three-month long trip that would require much more stuff than I used to carry along earlier. The previous Wildcraft backpack was a 25L one and so I switched to Rodhas 65L rucksack for trekking and my travel to Spiti Valley. My first experience with Wildcraft travel gear was amazing. So I decided to switch to one with a similar design but with more capacity. It comes with a smart design, stylish demeanor and storage capacity that is sufficient enough to carry another Wildcraft Backpack inside it. So I did carry the Laptop Backpack Traverse 2.1 – Melange Black inside of the rucksack. The black rucksack provides protection to my essentials from moisture and mists in the mountains. With its adjustable sternum straps and side haul loop, it provided me great comfort while hitchhiking to Spiti Valley. 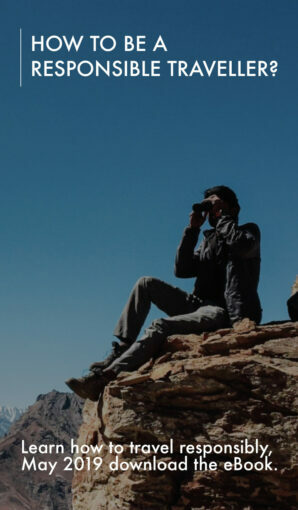 The rucksack was big enough to carry my trekking shoes and essentials as I travelled towards Spiti Valley. 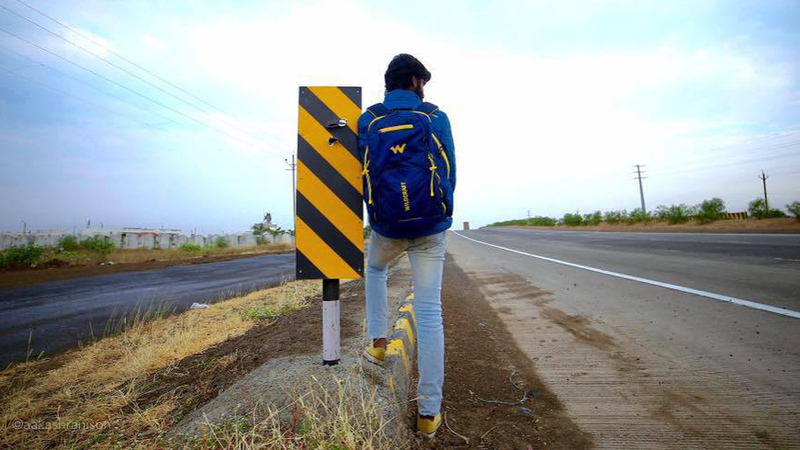 Carrying a rucksack while walking for more than 300 kms on a trip is a challenge in itself. The Wildcraft rucksack for trekking rodhas proved to be the best choice for this trip. The Wildcraft Laptop Backpack Traverse 2.1 – Melange Black was another travel gear that I carried with me to Spiti Valley. I knew that it was not possible for me to carry the rucksack everywhere I go. This backpack was a blend of stylish design, quality fabric, and comfortable straps. It made me feel like I wasn’t carrying anything on my shoulders. It’s a tough task to travel while carrying Backpack while travelling to Spiti Valley. It has various compartments for laptop, hard disks, other devices and I stuffed the few clothes that I had at the bottom of this backpack.  With the philosophy of Cross Horizons, I continue my journey. The road is my best companion and I travel really rough. Wildcraft always delivers on its promise and stays true to my journey. Whether I’m hitchhiking, walking or flying Internationally, Wildcraft has always kept me in its view. Everything antique that I have from the places I have travelled to, it’s because Wildcraft bags were always there to carry it along with me.